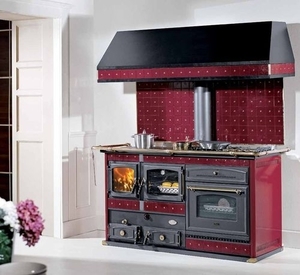 dual-fuel range cooker VDR : 36"
A dual fuel range is a stove which uses two different types of fuel, commonly gas burners with an electric oven, though some may use oil, wood or pellets. On ArchiExpo, these appliances are arranged by properties such as usage (e.g., professional) or fuel type. These units allow both domestic and commercial kitchens to enjoy the benefits of different cooking characteristics. Gas burners offer more control, but are more difficult to install than electric burners. Electric stoves produce dry heat, in contrast to the moist heat of a gas stove, which may require venting and may cook less evenly than certain electric models. Wood may be chosen as a fuel for the flavor it imparts to certain foods, such as pizza. It is also a renewable resource. Some dual ranges may also provide water heating. The different fuels should be appropriate for the types of dishes to be cooked. Consider installation costs and ease of maintenance, as well of the frequency of use. For commercial kitchens, verify that materials used comply with professional standards, will stand up to heavy use, are easy to clean and resist scratching and impacts. The style of domestic models should fit kitchen decor.